This Cogwheel baby cardigan knitting pattern features colorwork easy enough for a beginner, and mimics the look of cogs and gears. It’s sciencey, cute, and suitable for a boy or a girl. Sized from Newborn to Toddler, the Cogwheel baby cardigan knitting pattern works up quickly in a worsted weight wool or other baby-friendly fiber. Knit this simple little sweater for your favorite future engineer or future physics professor. The colorwork is easy enough for a beginner, and mimics the look of cogs and gears. It’s sciencey, cute, and completely gender-neutral. 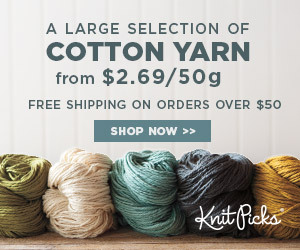 If you can knit stripes, then you can do slip stitch colorwork. Unlike other types of two-color knitting, slip-stitch patterns only require you to hold one strand of yarn at a time. So, there is no awkward juggling of multiple colors.